← What’s the Best Love Story of All Time, Emma? Well, it’s that time of year again. The week of love is here (otherwise known as the week of desperately trying to find a card that doesn’t look like you picked it up last minute at the supermarket round the corner). Andrea, what is the best love story of all time? 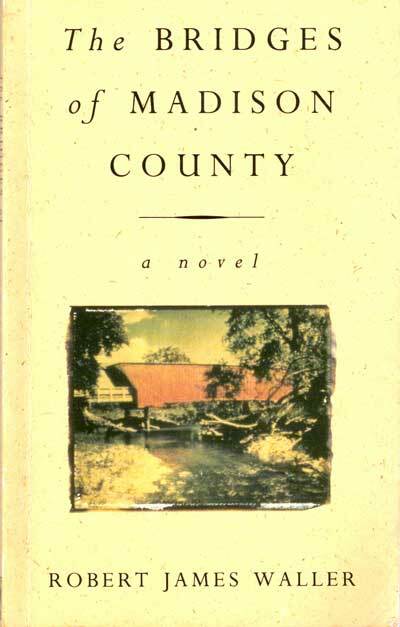 The Bridges of Madison County by Robert James Waller. This is the true story of photographer Robert Kincaid who has a chance encounter with housewife Francesca Johnson while passing through Iowa and they fall in love. I could not put this beautiful, mesmerising book down and it stayed with me a long time after I’d put it down. It was a touching and also passionate story about two star-crossed lovers and I cried my eyes out! The film starring Meryl Streep and Clint Eastwood is worth a look too. After the book, of course. What do you think? Is The Bridges of Madison County the best love story of all time? Let us know in the comments. This entry was posted in Interviews, Meet the DA team and tagged Andrea Messent, literary agency, literature, love story, writing. Bookmark the permalink. 1 Response to What’s the Best Love Story of All Time, Andrea?